How Do I Choose the Best Hot Dog Bun? Hot dog buns made with whole grain wheat flour tend to be less sweet. A hot dog on a sesame seed bun. Choosing the best hot dog bun is mostly about the taste of the bun in relation to the hot dog, although the texture and style of the bun also can make a difference. The classic hot dog bun is soft, made from white flour, cut down one side, and does a good job of holding a traditional hot dog and its toppings. A New England style bun is similar in many ways to a classic bun, but it is squared and cut along the top, providing a stable seat for the hot dog and its toppings, although it sometimes does not hold as much as a classic bun would. Some hot dog buns are made from whole grain wheat or other whole grains and have a less sweet taste than that of a white flour bun. There is a style of hot dog bun that is thicker than a classic bun and more closely resembles fresh baked bread that can be coated in sesame seeds, poppy seeds or fennel seeds. When choosing a hot dog bun, deciding on the style of the bun can narrow the potential options. 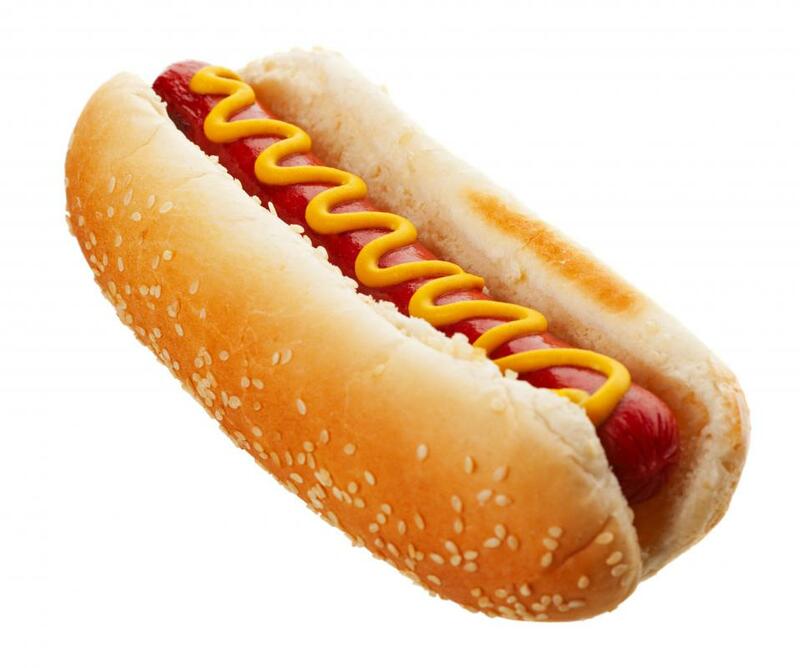 A classic hot dog bun is sometimes called a side-cut bun; it has a baked crust on almost its entire outside surface and is soft and absorbent, allowing more of the meaty hot dog taste to come through. The New England style bun has a crust on the top and bottom only, because it is cut from a longer loaf, much like a slice of bread, and can sometimes have less space for larger toppings than a side-cut bun does. Bakery hot dog buns can be baked individually, but generally are more dense than the other styles and provide a chewy texture that can stand up to larger hot dogs and messier ingredients, although they sometimes have too much dough for certain tastes. Depending on the recipe, a homemade hot dog bun can be a choice if none of the other buns are satisfactory, because the cook then can control the thickness, texture and browning on the bun. The type of flour used to make a hot dog bun can affect its final character. Standard white flour tends to make a bun that is spongy, soft, holds up well to a hot dog and will readily soak up the toppings. Whole grains and whole wheat flour frequently produce a bun that has more texture than one made with white flour, but that is not as sweet. Rarely, some buns may be made from other varieties of flour, such as high-gluten flour that makes a very chewy bun, or rye flour to make a bun with a distinctive taste and hard texture. If no readily available hot dog bun is suitable, then it is possible to make them at home. 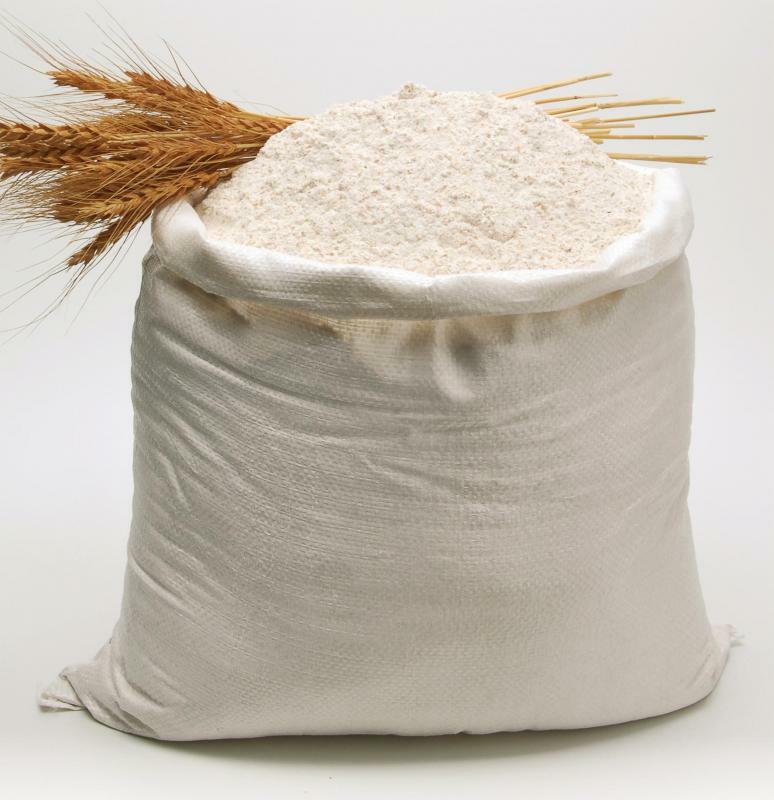 The dough usually is leavened and may contain a little milk to keep the bread moist, although any recipe can be used to suit the taste of the cook. The advantage of a homemade bun is that it can easily be adjusted to fit any situation, so onions or garlic can be baked into the bun or, in some cases, the buns themselves can be wrapped around the hot dogs and baked so they conveniently encase the meat. What Is an Italian Hot Dog? What Is a Hot Dog Casserole? What Is a Gourmet Hot Dog? What Are the Different Hot Dog Toppings? What Is a Sausage Bun?